Insulin Pens Don't Have Ink: Let's announce it to the world! Let's announce it to the world! So, to answer that question, yes the people at my school know I am diabetic. People ask me all of the time, "What is that thing?" (As they point to my pump.) I give them the whole diabetes spiel and continue on with my day. The nurse, administrators, teachers, and office staff know I am diabetic because they will see me in the nurse office, or the office staff fills in for the nurse while she eats lunch. In elementary school, everyone in the school knew I was diabetic because I talked on the morning announcements about raising money for the JDRF, and I also explained diabetes in 5th grader terms. I feel like a lot of diabetics don't like to tell the world that they are diabetic because then they don't "fit in" with the rest of the human population, but I think it is very important. After all, what happens when you have low blood sugar and no one knows what that is, the symptoms, or what to do about it? Plus, everyone will eventually find out one way or another. There are a lot of horrible situations that are results of diabetes, but 100s more are added when you don't even tell the people you are around every day. "Diabetes doesn't define me, but it helps explain me." This post is my March entry in the DSMA Blog Carnival. 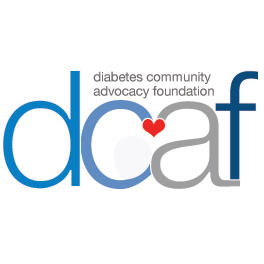 If you’d like to participate too, you can get all of the information at http://diabetessocmed.com/2012/march-dsma-blog-carnival-2/. What an outstanding post, Sarah. Thank you so much for writing this. I think it's great that you made morning announcements to raise money for JDRF! And it's very smart to make sure your friends and classmates know you have diabetes in case you need help with a low. Fantastic job raising awareness! !